Similar to popular og youtube app for youtube users, Now the developers have constantly worked on this and have created a mod version of the Whatsapp also known as OGWhatsapp. With OGWhatsapp you can use two accounts in a single device. You can chat with others from both account at the same time and that too free of cost. The size of the latest version OGWhatsapp which is v 2.11.432 is 10.76 MB. It’s easy to download, install and use. 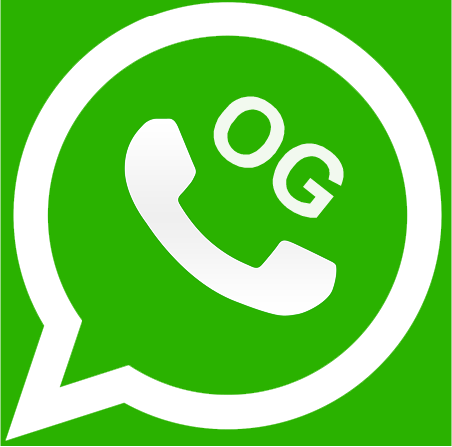 To download and install OGWhatsapp Apk for android follow the procedures given below. Why OGWhatsapp Apk for android instead of Whatsapp? We need to stay in touch with our friends and closed ones constantly especially if they are at a long distance. Moreover a national or ISD call can cost you very much. Keeping these things in mind, the online instant messaging apps are introduced. Among them the Whatsapp Application is the most popular app in this era. You can instant message someone, chat with someone, call over internet, video call them and also chat in groups. The interface is quite simple and user friendly. But then there are some restrictions with the app too. If you have more than one mobile numbers then you cannot use all of them in Whatsapp. Whatsapp gives you permission to open one account with one smart phone and one phone number at a time although you can change the number for the same account. The download the file, you will find a green download tab with the size of the app mentioned. Clicking on the download tab will start downloading the file. After downloading the file, transfer it to your phone memory. From the phone memory in your device locate the apk file an install it. Before installing the OGWhatsapp app in your device allow access to third party apps. You can do it by going to settings of your phone and then go to security tab. From there you can choose to allow access to third party apps. After installing the app don’t open the app. First of all backup all the files and Whatsapp media and then delete all the user information from the app. Next you have to rename the Whatsapp directory to OGWhatsapp in your SD card or phone memory, wherever you had installed the Whatsapp. Verify your old number in the OG version of the app and The new number in the normal version of the app. Now you can run 2 accounts in one account. This was all about installing og whatsapp on your device. Feel free to give suggestions in comments below.